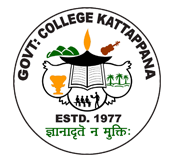 Government College Kattappana is functioning under the Department of Collegiate Education, Government of Kerala. The college is affiliated to the Mahatma Gandhi University, Kottayam. The college is recognized under the 2(f) and 12(B) schedules of the UGC act.